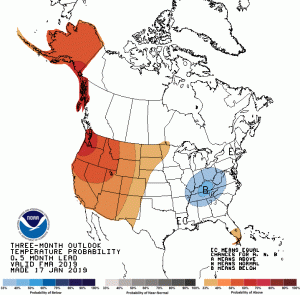 The third week in January is typically about the mid point of winter. 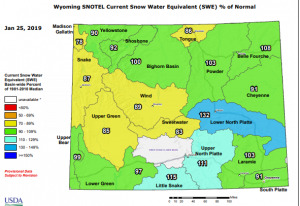 It is a good time to check on the status of the snow pack for the coming Spring runoff. 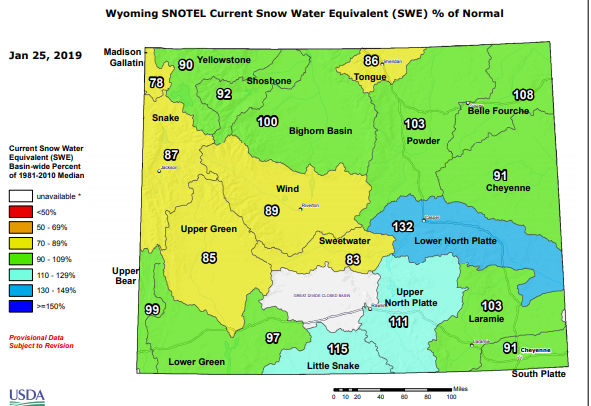 As of January 25th much of Wyoming is fairly close to normal snow pack. 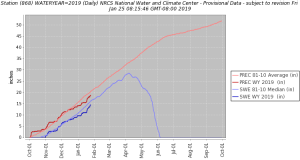 Here in Western Wyoming levels are running a little below normal. 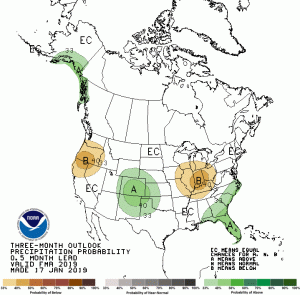 Looking ahead for the next 3 months February through April(the remainder of the snow season) the NWS long range forecast is rather inconclusive. It is expected to be a little warmer than normal with precipitation somewhere around normal. However 3 month forecasts are of limited skill.